The SPDR is Lectrosonics' response to customer demand for a small, lightweight dual channel recorder for use on virtual reality sound captures or as a backup recorder for bag systems in the field. 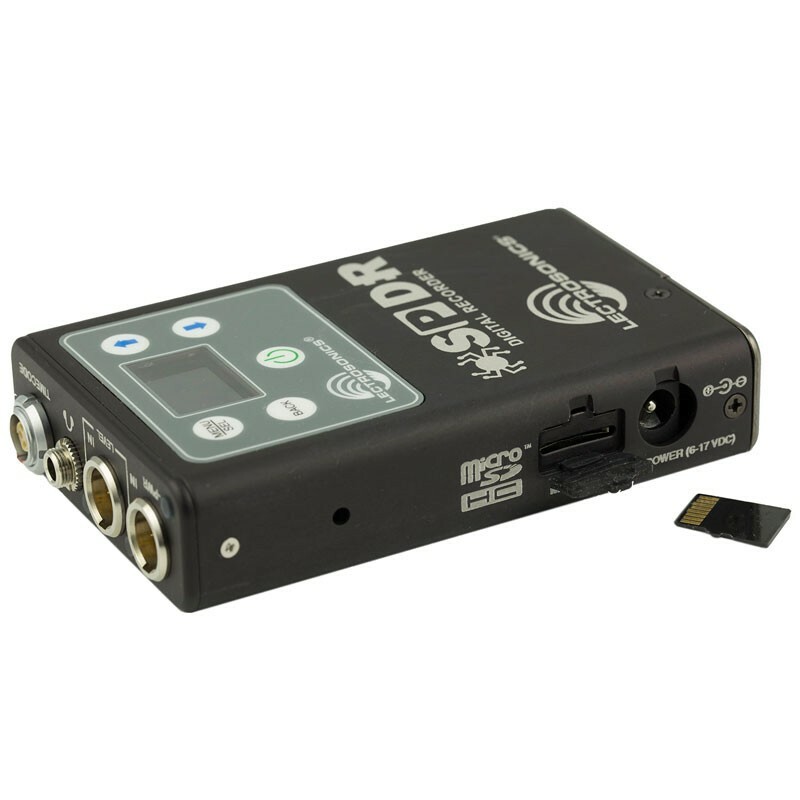 The SPDR will let you capture the full stereo audio of an extreme sport participant, in-car scenes or in situations where a wireless system cannot be used. When used in conjunction with a small mixer and the SRC receiver, the SPDR makes for a lightweight interview setup that provides full redundancy—all fitting into a small fanny pack. The industry standard 5-Pin LEMO time code input allows a simple momentary jam. The high accuracy oscillator allows free wheeling precision better than 1 ppm for those long recording days. Offering the same high definition display as the PDR, the SPDR keypad has a tactile feedback riser on the record button for easy eyes-off recording startup. Dweedle tone commands allow easy start and stop using the PDR Remote app. The SPDR has an external power input with internal battery switchover, allowing all-day recording from your bag battery with immediate fall back to the internal batteries should there be an external power loss. A 32GB memory card allows almost 30 hours of recording time at the 48kHz sample rate. A high quality headphone output is provided for playback and monitoring. The SPDR's rugged aluminum housing allows easy access for the microSDHC memory card (up to 32GB) and DC input for external power. Recordings are stored in industry standard BWF file format (.WAV) with iXML metadata, for compatibility with third party tools such as Wave Agent™. The deep buffer allows use of slower cards with high reliability. 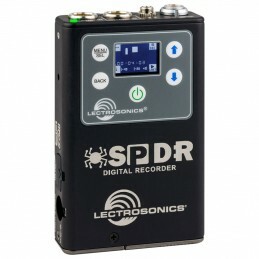 The SPDR has outstanding battery life (over 20 hours on AA lithiums) for long term recording capabilities when using only internal batteries. If external power is being used and is accidentally interrupted, a switchover to the internal batteries takes place automatically. The SPDR is compatible with the LM style transmitter belt clips. The wire belt clip (P/N 26526) is included and the hinged style belt clip (P/N BCHINGED) is available as an option. WARNING - IMPORT MEMORY CARD INFORMATION: DO NOT perform a low-level format (complete format) with a computer. Doing so will render the memory card unusable with the pdr recorder. With a Windows based computer, be sure to check the quick format box before formatting the card. With a Mac, be sure to format as "master boot record" as setting.